Queen’s can offer College accommodation to all undergraduates for the duration of their course (3 or 4 years, or 6 for 2nd BM clinical medicine students who choose to be counted as undergraduates during the clinical part of their course). This means that you only pay rent for the time that you are actually in Oxford, which for most students is about half the year. Generally, this ends up costing much less than it would cost to pay a 12 month lease in privately rented accommodation. The information below is all correct for the academic year 2018-19. 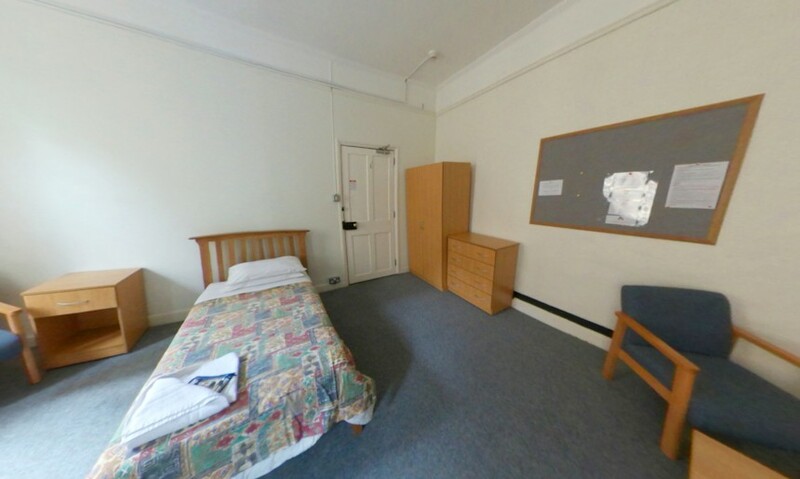 We charge everyone the same for all of our standard college rooms: £1,320.11 per term. All rooms are equipped a bed, a desk, a desk chair and a wardrobe. There may also be additional storage space or furniture. All first year undergraduates will be housed in main College. Rooms in Carrodus Quad (QLQ) are ensuite, as are most rooms in Back Quad. Front Quad rooms and rooms in other parts of the main site have shared bathrooms. Every room in main College has a mini fridge. In subsequent years, you will be housed in one of the college annexes, located around the city. These include St. Aldates House (10 minutes' walk from main College), the Cardo Building (12 minutes' walk) and the James Street Building (15 minutes' walk). Students in their 2nd, 3rd and 4th years are welcome to choose to 'live out' of College if they prefer. We do not force any students to share rooms or sets. However, some students may choose to do so, within certain regulations. Doing this will reduce the termly rent to £1037.22. We also have a few smaller rooms that we offer to those who want to reduce their rent. They are offered at a cost of £1,093.81. Please note, this option is only available to students who have completed their first year. The Universities UK approved code of practice for student accommodation sets out basic standards for student accommodation in Higher Educations Institutions, including the Oxford colleges. The code protects your rights to a safe, good quality place to live. You can find out more information in the Accommodation Code of Practice on the Universities UK website. Queen’s is a fully catered College, which means that most students come to our meals on a regular basis, turning them into very social occasions! All our food is offered at cost price, making Queen’s a cheap place to eat. Breakfast is served in the main Hall as well as in the Florey and Cardo Buildings. Both breakfast and lunch are offered on a “pay-as-you-eat” basis with you helping yourself to what you would like in the Servery, and then being charged per item. We always offer a wide range of food and cater for all dietary requirements. Fancy a break at 4pm? Every weekday during term-time the students put on their own JCR Tea, with tea, toast, snacks etc being offered for mere pennies in the Common Room. A popular choice for those who need a social break! Students book on to our two-course dinner online, for which there is a fixed charge. We also provide meals at weekends, with the three-course Saturday Formal Dinner being very popular with our students and their guests.